Celiac Disease is an autoimmune disease in which ingested gluten leads to damage in the small intestine. Gluten, a mixture of two proteins, is found in cereal grains like wheat, barley and rye. Medical ID jewelry is probably the last thing on your mind after being diagnosed with a chronic condition like Celiac Disease. But being easily identified as having a medical condition is often necessary for people with Celiac Disease who need to avoid certain foods. People with Celiac Disease can wear medical ID bracelets to alert rescuers, first-aid staff, and other medical professionals of their condition, indicating appropriate action to take during an emergency. 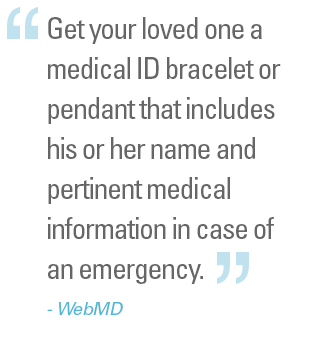 Medical ID bracelets can be the difference between life and death for people with chronic conditions like Celiac Disease, since they require special medical care, and in some emergencies, may not be able to speak or communicate. The emergency may occur when a relative or a friend who has knowledge about the person's Celiac Disease may not be around. In these cases, a Celiac Disease bracelet can silently inform the attending medical personnel of the disease and need for specialized treatment. Celiac Disease can be a tricky condition to have because it affects each person differently. There are up to 300 symptoms a person with Celiac Disease may have. All people with Celiac Disease should wear a Celiac Disease medical alert identification bracelet, especially children who may not be able to properly communicate their dietary restrictions. Always ensure that you or your loved one is wearing a Celiac Disease bracelet at all times, especially, before leaving the house. If necessary, pack an extra bracelet during special trips, particularly if you will be traveling alone or leaving town. Always wear the bracelet where it can be spotted easily and avoid taking it off. New styles and designs won’t cramp your style and it can mean the difference between living a healthy life and suffering major medical consequences.